Today I left most of my family behind and set off with my brother and his fiance to explore Cornwall. 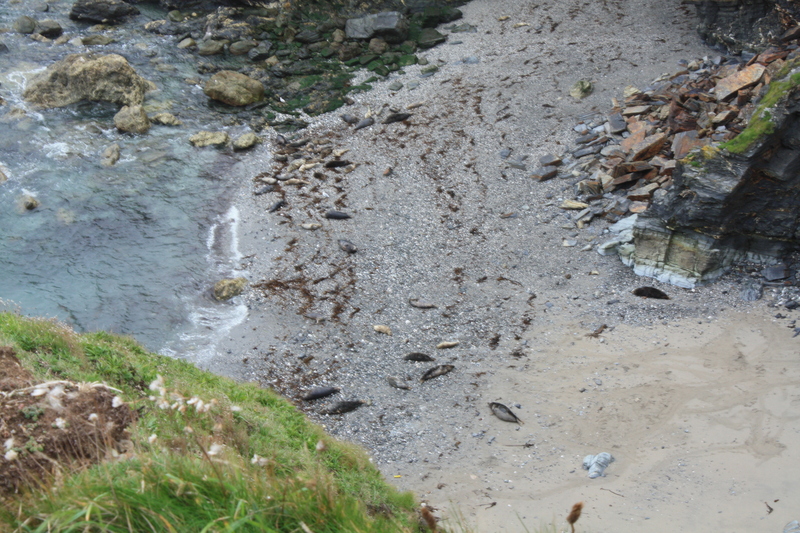 Our first stop was at Godrevy Headland, where we saw seals basking on the beaches below us. Our little walk around the headland was slightly deterred by the strong wind blowing hard into our faces, which caused a minor mishap within our little group. 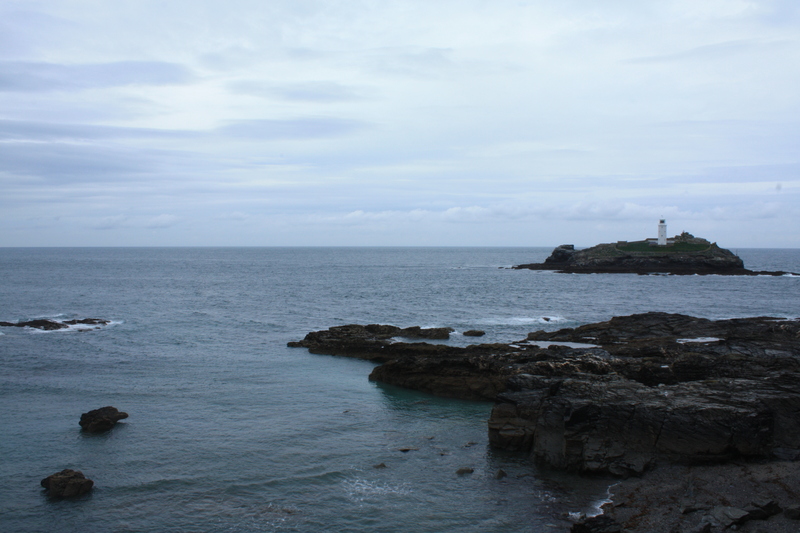 So while one of our party was carried back to car with a sprained ankle, I was left alone to calmly take photos of the windswept headland and its lonesome lighthouse. Leaving the headland behind us we continued on to St Ives for some lunch (PASTIES), however we were shocked to find how busy the bustling seaside town was. It was absolutely packed and it wasn’t even the summer season nor a weekend, so we were left quite confounded by the sheer number of people cramped into St Ives’ tiny streets. So many people meant every cafe was packed and we were forced to eat outside near the harbor. Unfortunately huge crowds of people bring another menace, gulls. 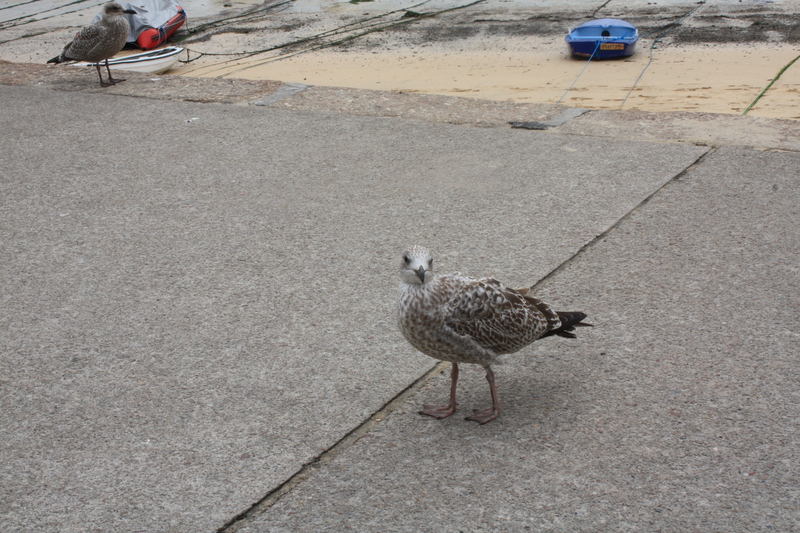 As we ate our lunch, we were forced to continuously fight off ravenous gulls, which would swoop down, in an effort to steal our beloved pasties. I will forever curse that one unthinking Victorian who one day thought to himself ‘you know what those birds look hungry, I’ll give them some food‘. Pasties eaten, we set about exploring the town, buying more cakes and Cornish fudge; before heading back to the car and driving towards Sennen. The drive to Sennen has always deeply resonated with me, as it’s a road I have been driven along many times before. 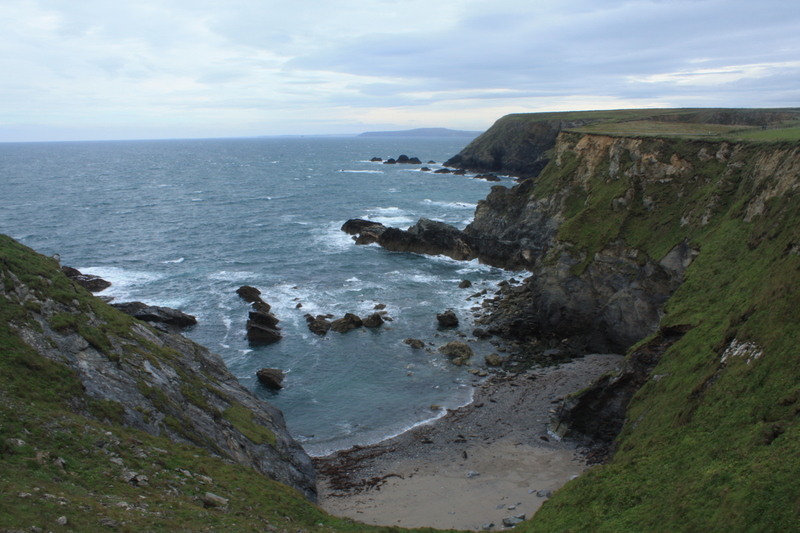 I spent my childhood holidays going between our campsite in Kelynack and Sennen beach. To drive past that campsite again brought back memories of stormy nights huddled in sleeping-bags, evenings spent playing in the park and avoiding my washing up duty, petting the donkeys on the site and hearing them baying first thing in the morning. 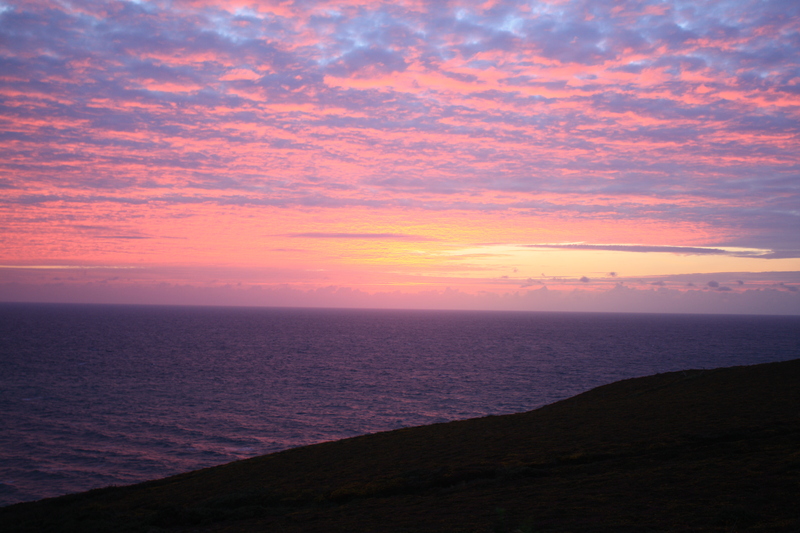 Fair to say, by the time we reached Sennen, I was feeling a little emotional. 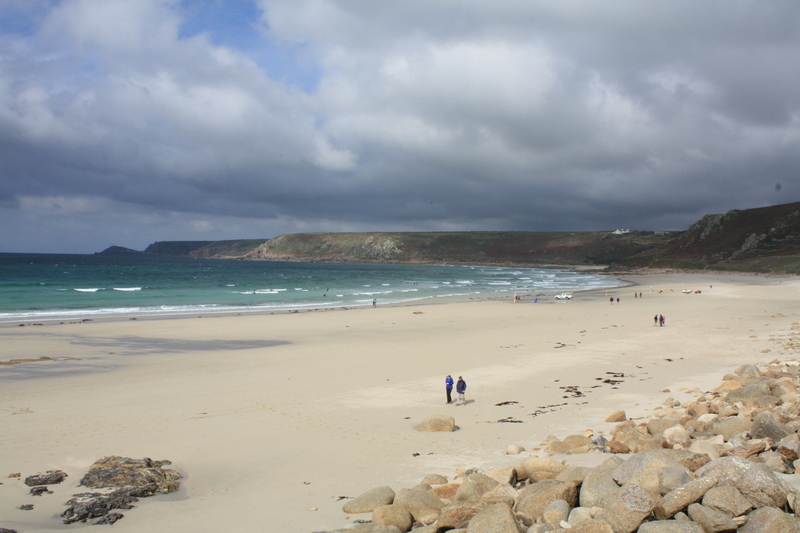 On these holidays, Sennen was our local beach and half of our holiday would be spent lying in the sand there. Standing there again, I couldn’t help but think back to those times. 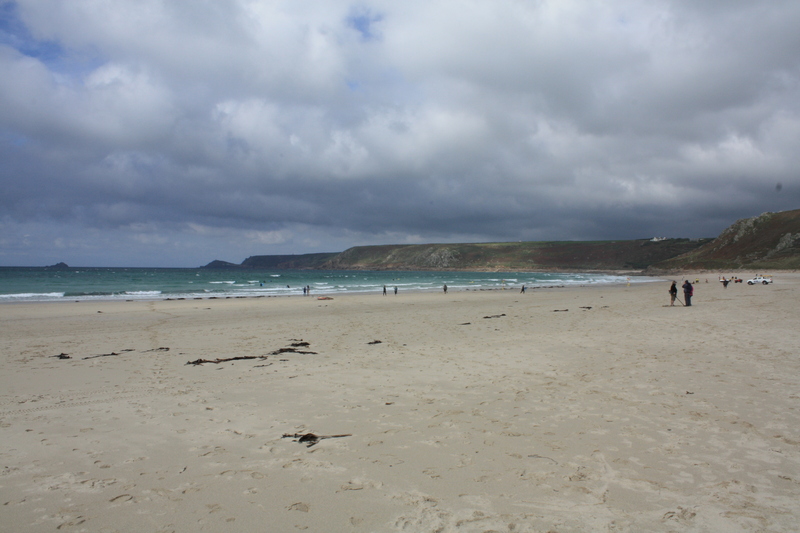 To be honest, growing up, I never really liked Sennen beach; it was too sandy and I hated sand. I hated how it clung to your skin and you ended up finding piles of it in your tent for weeks afterwards. So usually I would spend my days huddled on my towel with a book, desperately trying not to touch the vile stuff. But the beach was vast and you could never really escape all the sand, though looking out today, I swear the beach use to be bigger, or maybe it was just like that in my memory. I much preferred exploring rock pools, but the ones on Sennen were seemingly miles away in both direction, far to much of a distance to allow a little boy of eight to go wandering off on his own. But that’s exactly what I’d do, whenever I got an opportunity I’d run off to the rocks and clamber over them, looking for rock pools. Eventually I’d be dragged back by my mum, sobbing about how unfair she was being. Eventually, I think she caught on that I didn’t really like the beach and sent me off cliff walking with my dad (thank goodness). That love of cliff walking would eventually evolve into my love of mountain walking and my love of mountain walking would eventually lead to me attending Bangor University (as well as other factors such a courses or something) and from there my blog was born, so in away I have a lot to thank Sennen Beach and Cornwall for. Eventually I pulled myself out of this nostalgic haze and we headed back to the cottage in time to witness a beautiful purple sunset. i know exactly what you mean about sandy beaches… i’m not a fan either 🙂 beautiful photos! I’m with you on the sand too – however it makes for a stunning picture! That sunset looks amazing too. 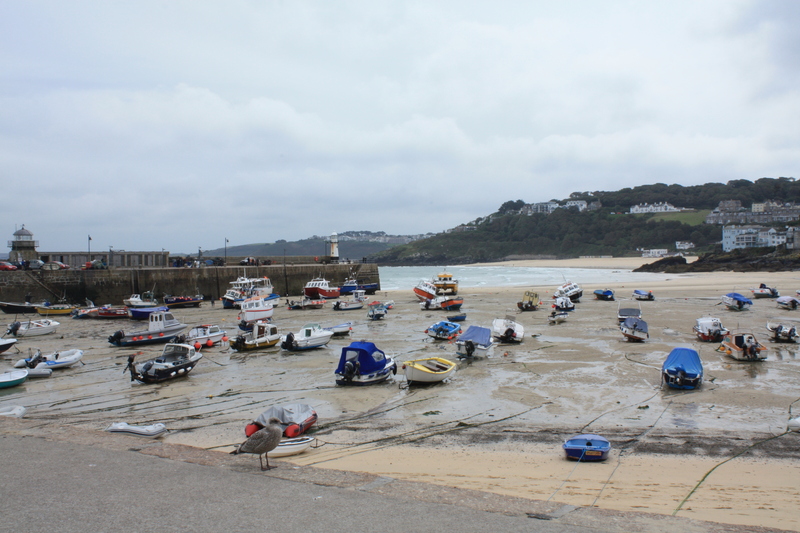 We stayed in St Ives last year end Sept / beginning Oct. It was mobbed the weekend we arrived but then got a bit quieter. It must just always be busy! 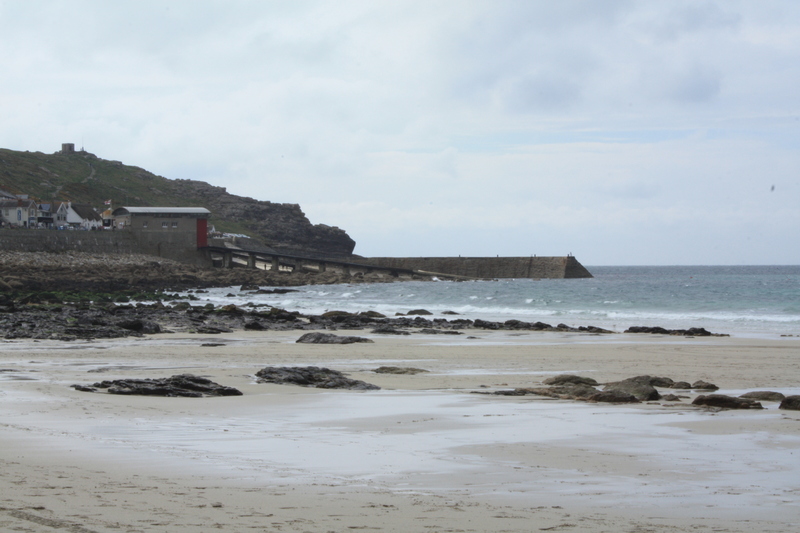 We did a cliff walk from Sennen to – I agree, it’s lovely.